Seventeen years after the death of Jerry Garcia, the Grateful Dead's music is still going strong. This could not be more evident than on the night of August 3rd celebrating Jerry Garcia's 70th birthday with the event "Move me Brightly." The Grateful Dead "Family" was in full force with Merry Pranksters, former and current musicians connected to the Dead, production staff, photographers, poster artists, movie star Luke Wilson, friends and the next generation of Dead Heads including children of "The Family." The event had the feeling of being backstage at a show. The centerpiece of the stage backdrop was a six-foot, blown up copy of a Jerry Garcia hand-print. It was an artistic reminder of the impact and imprint that Garcia left on so many lives. For me, my father was kind enough to take me to my first live music show, the Grateful Dead, at the age of 13 at the old Boston Garden, so this music is close to my heart. This night of celebration of Jerry at TRI Studios was a great opportunity to soak in every moment of the experience and share it with others though my photos and this narrative. 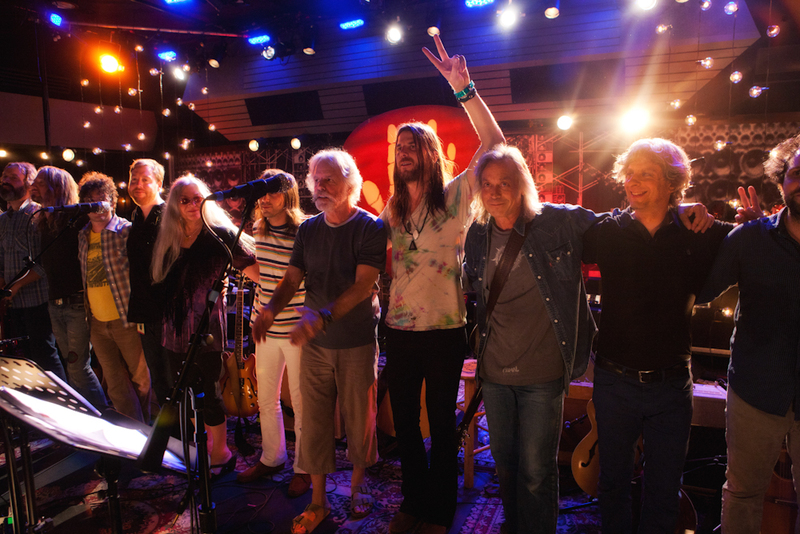 TRI Studios is a continuation of a personal Bob Weir project started in the '70s at his home studio, where the Dead also recorded some material. 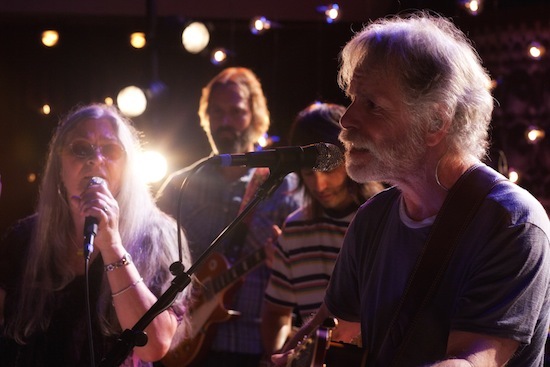 Weir, along with others, continue "Searching for the Sound" at the state-of-the-art multi-media recording setup with Meyer Sound audio system, a longtime Grateful Dead collaborator. They utilize multi-angle HD video, an amazing sound system and a top-notch staff who know how to effectively use all of the high-tech equipment. TRI continues with the tradition of being ahead of the curve with technology that has also been a part of a 30-year-long running accomplishment of the Grateful Dead. Some examples of the video and audio technology that was part of what kept the crowds coming include Jerry Garcia's custom guitars, with an incredible range and the '70s "Wall of Sound," which was appropriately the photographic backdrop of the stage. Complementing the audio aspects were the visuals, like the stunning light shows by Candace Brightman in the 1990's and many others that revolutionized the concert lighting industry. Weir has been integral in developing the venue as only a rock star would. Weir has decades of experience in understanding the ins and outs of live and recorded sound, as well as lighting and visual aesthetics that bedazzle and captivate fans. His experience has contributed to making TRI a unique place. Part of this new technology was what allowed thousands of Deadheads to watch the live-streaming in high quality on Yahoo.com, TRI's new exclusive partner, and on TRI's website. The show lasted for about four hours, just like in the old days. You can view an edited two-hour version here. San Rafael has become part of the holy trinity of Grateful Dead-related venues in Marin County. 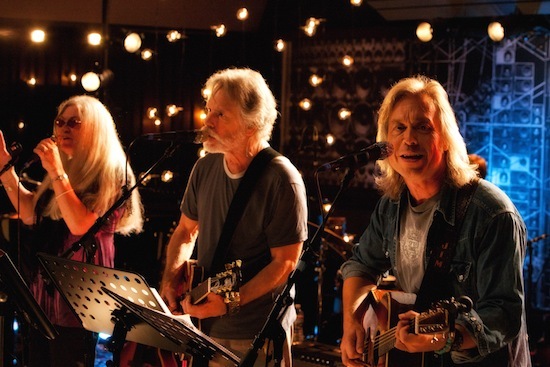 These venues include the Sweetwater Music Hall in Mill Valley with Bob Weir (Grateful Dead guitarist and vocalist) as a partial owner, Terrapin Crossroads in San Rafael, with Phil Lesh (Grateful Dead bassist and vocalist) and family as the owners, and TRI studios in San Rafael. All three are within a short drive from one another. One of the most appreciated guests of the evening was the surprise performance of Phil Lesh. 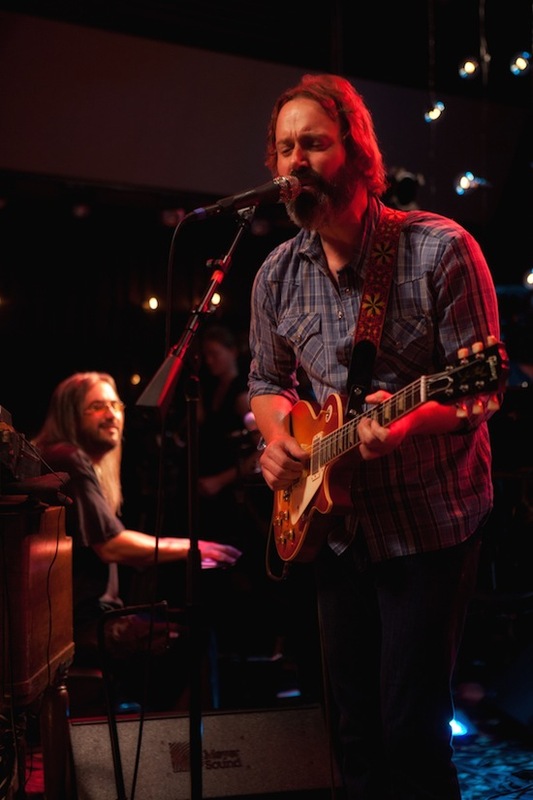 Phil has been credited with bringing the Dead sound "Further" beyond the sound of the Dead and into something new, starting with Phil and Friends. Phil, to the great delight of the crowd, played the first two songs with the supergroup. Donna Jean Godchaux-MacKay, '70s Grateful Dead background singer, who joined in the band's performance for most of this special show. Phil has long been credited with being part of a group of '60s bass players that pioneered a more melodic, lead kind of playing. Mike Gordon of Phish has been aware of this style for sometime. After two songs, when Phil left the performance to join Yonder Mountain String Band at Terrapin Crossroads, Gordon picked up the role of the bassist and finished the rest of the show. Seeing these two musicians one after the other, it was clear that Phil had greatly influenced Gordon's sound and style. The concert started out with "The Wheel," a song about the unstoppable cycle of life, just like the seasons and very relevant when understanding nothing lasts forever. The rest of the show was filled with crowd favorites like "Terrapin Station," "Tennessee Jed," "Eyes of the World," "Friend of the Devil," "Franklin's Tower," "Ripple," and more rarely played but equally as good, songs like "Days Between," "Catfish John," "Mission in the Rain," and many more. I was able to interview Jason Roberts, guitarist for Norah Jones, to get a unique outlook from his "outsider perspective." Below also includes my interview with Stanley Mouse, a psychedelicposter and album artist who has worked with the Grateful Dead for a number of years. Stanley holds a unique "insider perspective." Jamie Soja: "How and when did you start listening to the Grateful Dead and Jerry? 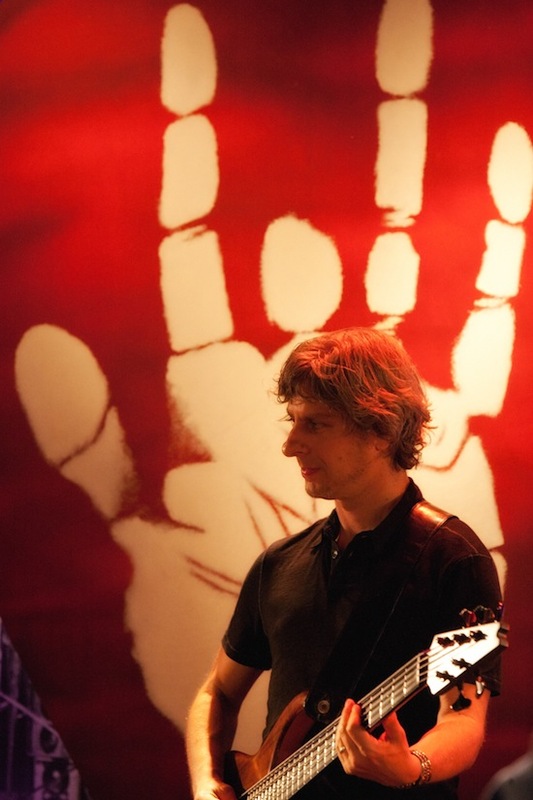 Jason Roberts: "When I was about 12, I found out that Jon Fishman from Phish was my cousin. His mom, Mimi, gave me and my brother a copy of 'Rift' and we quickly became life-long fans. I discovered the Dead through Phish, but it took me awhile to REALLY appreciate them. A couple of years later, my uncle gave me 'Europe 72' and I realized how incredible they were and how unbelievable Jerry's playing is. The older I get, I find myself really incorporating Jerry's style into my own playing. I mean - no one can ever sound just like Jerry, but I've spent some time studying his playing and now I find some of his licks naturally creeping into my own playing. This past weekend was the first time I had played with members of the Dead and it was really a very surreal moment for me." Jamie Soja: "What was your favorite moment from the night? Jason Roberts: "I actually had two favorite moments of the night. One was playing "Tennessee Jed." I just really love this song so much and having the opportunity to play it with Bob Weir and Mike Gordon and everyone else was such a thrill. My other favorite moment was when the band played "Terrapin Station." It came at a moment in the night where I had about an hour before I was going to play another song, so I was able to stand in the front and watch it as a fan. It's such an unbelievably special song and the band really did it justice. I was blown away!" Jamie Soja: "How was this different than playing with Nora Jones?" Jason Roberts: "I think that you have to approach every musician and band that you play with in a different way because everyone is different and everyone has their own style. Norah is one of a kind and playing with her is such a special experience for me because she has that unexplainable thing that people like Jerry, Neil Young, Bob Dylan, etc. have. She is able to tap into something that a lot of musicians can't or don't tap into. She is such a well-respected, talented and beautiful musician and I feel so grateful to get to play her songs every night with her." Art has always been a huge part of the Grateful Dead, including post Jerry projects. TRI Studios continues with that tradition by utilizing the art of video, lighting, ambiance, and audio recording. I was able to speak with one of the most famous 60's psychedelic artists, Stanley Mouse, a favorite of the Dead, Bill Graham, and many other bands, etc. Jamie Soja: "What do you believe Jerry would think of TRI studios?" Stanley Mouse: "Jerry would be off his rocker if he didn't love TRI studios. TRI has the same look and feel of the old practice space on Front street in San Rafael, though TRI is a truly state of the art space. I think that Jerry would have had a ball in TRI." Jamie Soja: "How was this different from when Jerry was alive?" Stanley Mouse: "When the friends and family of the Dead get together these days there's a mellower atmosphere that didn't exist in the days of Jerry." Jamie Soja: "What is one of your most cherished memories of Jerry that you have?" Stanley Mouse: "When I was in the Haight, I had a studio in one of the Dead houses. I was around Jerry a thousand times but never connected with a meaningful conversation. He was always busy playing or talking with someone. One night at a Dead concert when my son Yuri was about twenty, they got into this big conversation back stage. They were talking furiously. A lot of people tried to get in on it or distract jerry, but they were so into it. I loved it because I knew Yuri was delivering and receiving everything that I had always wanted to and The time he said " Give Mouse a LIVER!" [See Stanley Mouse Grateful Dead benefit for his liver transplant. Jamie Soja: "What was your favorite part of the night at TRI studios either musically or socially?" Stanley Mouse: "Spending time with Annabelle, Trixy and Keelin was truly the highlight. Seeing Jerry alive in his children is wonderful. It was great that so many people came out to take part." This was certainly a perfect way to throw an all-star party, for what would have been, Jerry Garcia's 70th birthday celebration. Photos courtesy of Jamie Soja.